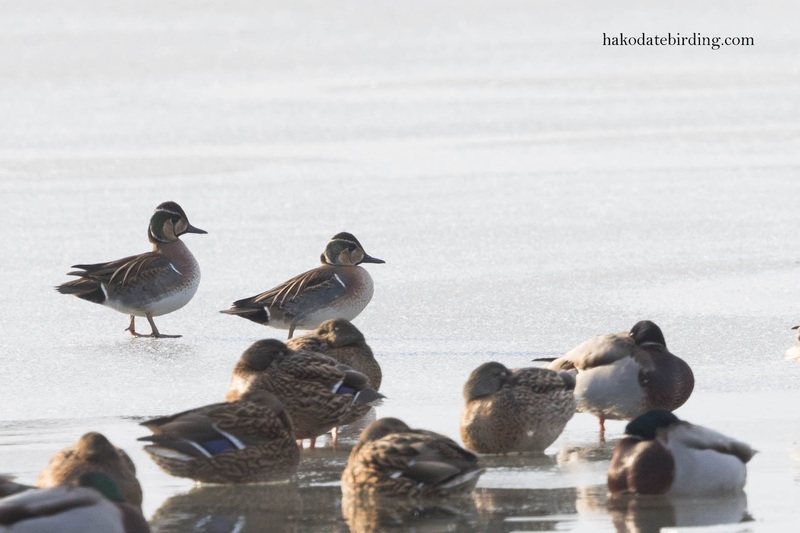 There were 2 Baikal Teal at Onuma. 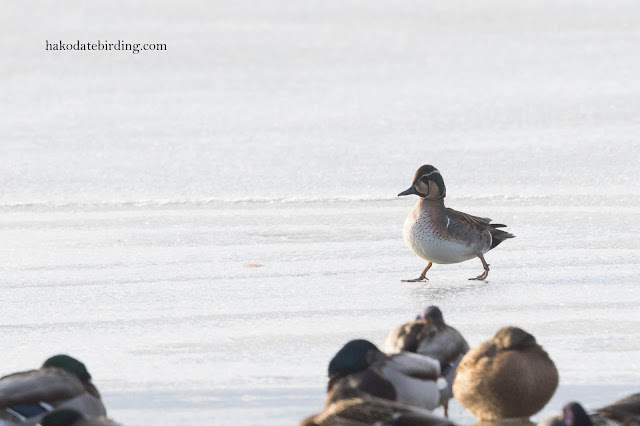 Last year there was a Ring Necked Duck and some Falcated Duck with the Mallards and Whooper Swans and this year this species made a surprise appearance. As far as I know it is a pretty scarce bird in Hokkaido (though more common in southern Japan). They stayed well out of range and I was shooting into the sun. Other birds present included Coot, Little Grebe, Pintail, Smew and Goldeneye. 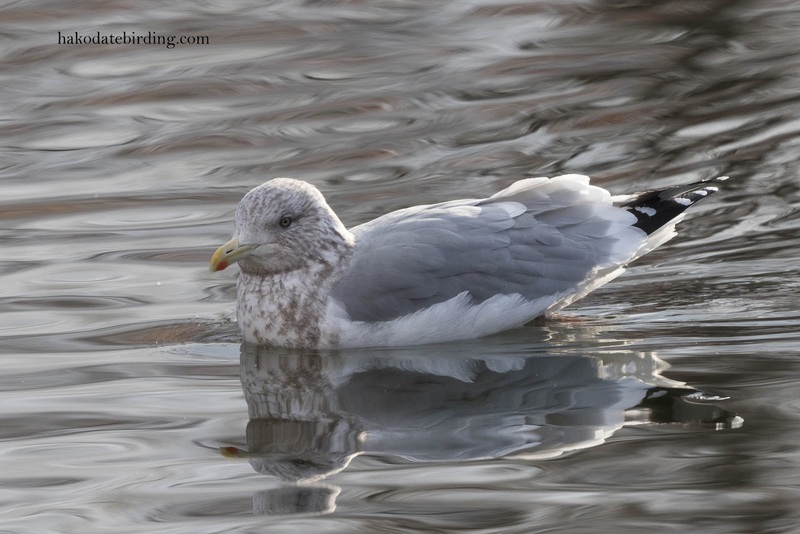 And this lone gull, it seems to be here every winter................is it just a Vega Gull or is it something rarer? The extensive blotchy markings and pale mantle make me think of American Herring Gull (which would be another lifer).................but it's probably just a Vega Gull. Still, odd to see this species so far inland. So tomorrow is the 10th anniversary of this blog. I started on January 1st 2007. A lot of stuff has happened in the world since then but my life hasn't changed so much, I still live in the same place and do the same work as I was doing 10 years ago. When I started I only had a cheap compact camera and cheap scope but in March of that year I got my first DSLR and in November 2007 I got my first decent lens. I'm now on my 3rd camera body and have a bigger, heavier and much more expensive lens. I shudder to think how much I've spent on what is, after all, only a hobby. I've replaced my PC twice and the car twice in those 10 years but only visited my home country England 3 times (and domestically I never travel much outside Hokkaido either). Thank you to all those who visit this blog and leave comments, both past and present. I wonder what the next 10 years will bring? Congratulations on your beautiful blog, Stu. 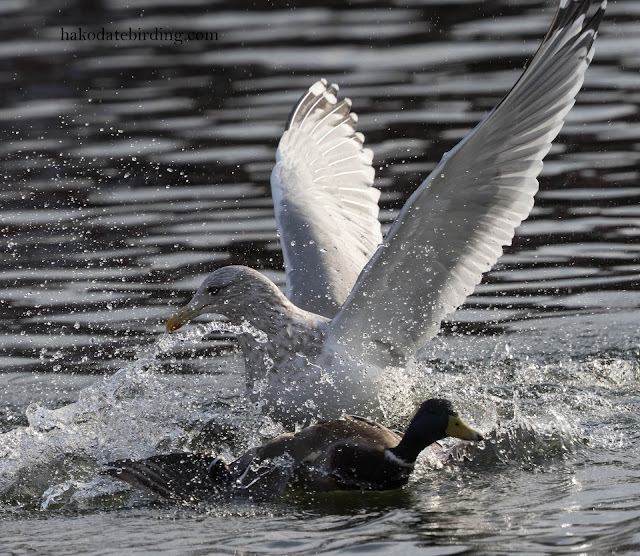 You grew so quickly as a photographer and birder. When I was much younger people told me not to spend too much on my hobby, so I spent the next 20 years standing in the wilderness with a cheap lens. When I look at my photos from back then, I wonder what they could have been. Even if we don't make money from it, Is it really a hobby? Hi Russell, thanks for the comment. You have been here from the start so thanks again for that. I wish I'd started a bit earlier but to be honest decent quality bird photography only became realistic for the masses when the first consumer DSLRs were released which was probably only a couple of years before I started this blog. I would never have gotten interested in it during the film era. A lifer! A good way to end the year Stu. Good luck with the next ten years and if your photos are as good as they usually are, we are in for a treat. A handsome duck indeed! Congratulations on your ten years of blogging. It has certainly provided a good deal of enjoyment to me, and I suspect many others also. I will look forward to more great features in 2017. All the best to you and your wife for 2017. It is interesting to look back. 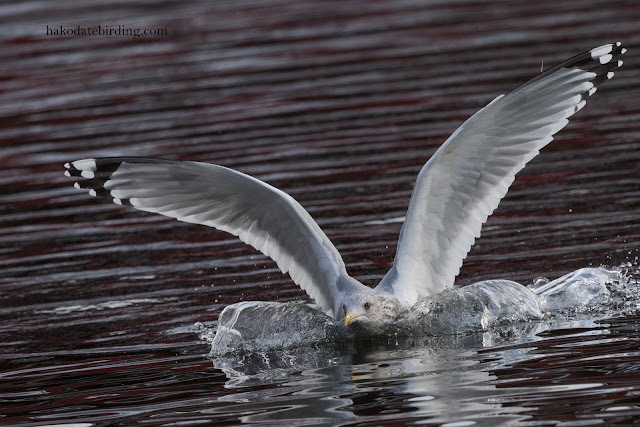 10 years is a long time to Blog, and I enjoy especially what birders in other parts of the world are seeing and doing. 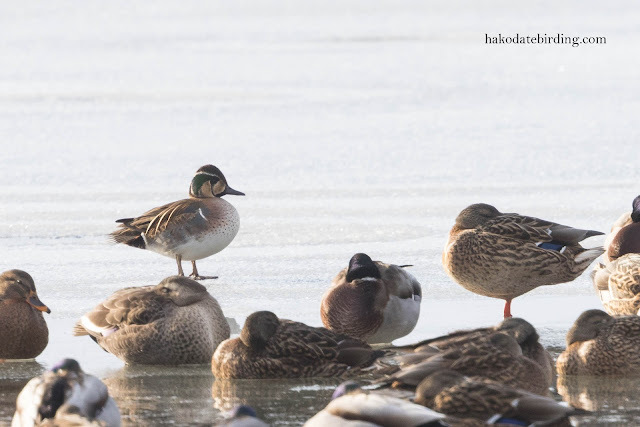 Congratulations on the Baikal Teal. I saw one when we were in Japan, thanks to a non-English speaking, but very helpful Japanese birder! Thanks Sonja, yes 10 years is a long time, hope I'm not getting too repetitive............but thanks for taking the time to visit as often as you do. Belated congratulations and thanks Stuart! your blog is bl..... brilliant, as we would say in the old country, and an excellent guide for a first visit to Hokkaido!